I no longer wish I never had trich or bipolar disorder. Although both come full of pain and suffering, there is another side. Working through my struggles has made me the person I am today. I don’t know if I would have have the same faith, spirit of perseverance, or compassion. I think my best traits have been developed through my pain. God did not cause my suffering, but He will use it for good. I still hope to be pull free, but I am happy now as I am. My moods are relatively stable and I have settled on a set of meds that works for me. I still pull, but it does not rule my life. Yes, I do spend a considerable amount of time practicing awareness and coping strategies. However, I do not feel like less of a person because I do this or because I am missing some hair. Everyone has some form of struggle in their life. Learning to use that suffering for good is the key to moving through it and finding a purpose for your pain. I read this devotional earlier today and thought that it lined up so well with the verse that has been on my heart, Romans 5:3-4. Your pain often reveals God’s purpose for you. God never wastes a hurt! If you’ve gone through a hurt, he wants you to help other people going through that same hurt. He wants you to share it. God can use the problems in your life to give you a ministry to others. In fact, the very thing you’re most ashamed of in your life and resent the most could become your greatest ministry in helping other people. Who can better help somebody going through a bankruptcy than somebody who went through a bankruptcy? Who can better help somebody struggling with an addiction than somebody who’s struggled with an addiction? Who can better help parents of a special needs child than parents who raised a special needs child? Who can better help somebody who’s lost a child than somebody who lost a child? The very thing you hate the most in your life is what God wants to use for good in your life. The Bible says in 2 Corinthians 1, verses 4 and 6, “God comforts us in all our troubles so that we can comfort others. When we are weighed down with troubles, it is for your comfort and salvation! For when we ourselves are comforted, we will certainly comfort you. 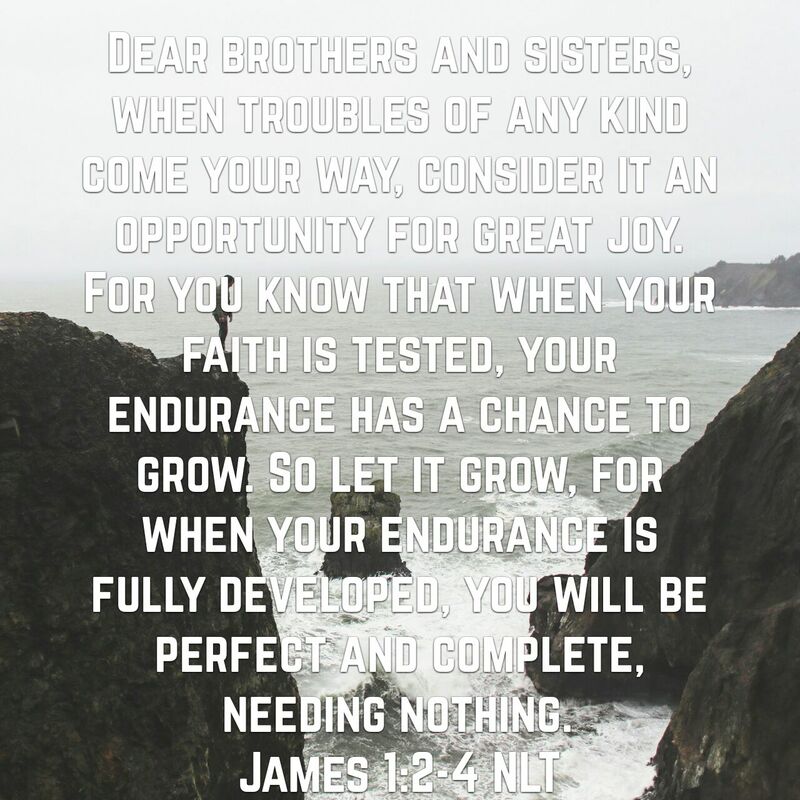 Then you can patiently endure the same things” (NLT). This is called redemptive suffering. Redemptive suffering is when you go through a problem or a pain for the benefit of others. This is what Jesus did. When Jesus died on the cross, he didn’t deserve to die. He went through that pain for your benefit so that you can be saved and go to Heaven. There are many different causes for the problems, pains, and suffering in your life. Sometimes the stuff that happens you bring on yourself. When you make stupid decisions, then it causes pain in your life. If you go out and overspend and buy things you can’t afford and presume on the future, and then you go deeply in debt and lose your house, you can’t say, “God, why did you let me lose my house?” You can’t blame God for your bad choices. But in some of your problems, you’re innocent. You’ve been hurt by the pain, stupidity, and sins of other people. And some of the pain in your life is for redemptive suffering. God often allows us to go through a problem so that we can then help others.